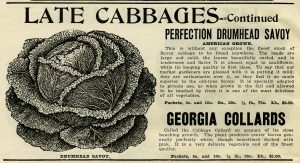 This vintage catalog listing includes a description of, and pricing for, a Drumhead Savoy cabbage. 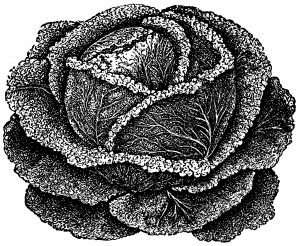 The ad states that this cabbage was specially adapted to be grown in the fall and when allowed to be touched by frost, was one of the most delicious of all vegetables. Here is a black and white clip art version of the cabbage illustration from the ad. Click on images to enlarge. 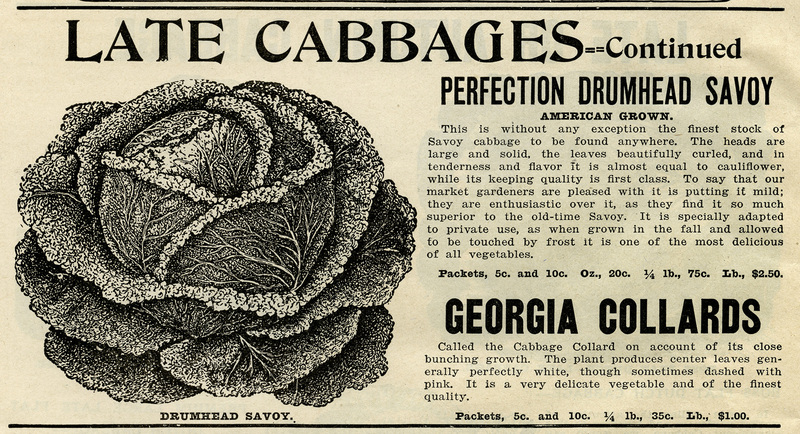 The original advertisement is from the 1917 Griffith & Turner Co. Farm and Garden Supplies catalog.